Beautifully designed in one of a kind cabin pillow. Gorgeous looking Pinecone Embellishments along the pillow. 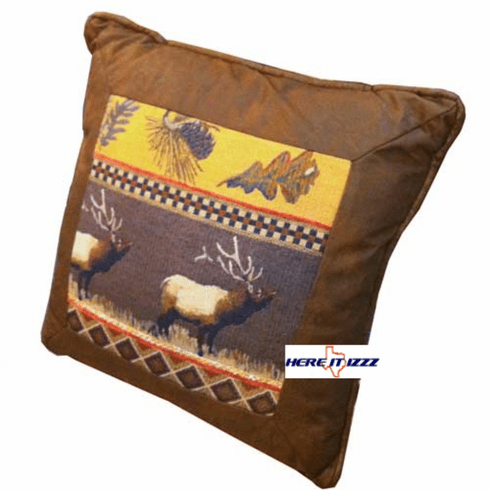 Fabulous multipoint elk in tapestry fabric. Bring a mountain lodge look to your homework cabin with this nice size pillow.